Clay Shirky, writing about how Web 2.0 affects group action in Here Comes Everybody, observes that “Our electronic networks are enabling novel forms of collective action, enabling the creation of collaborative groups that are larger and more distributed than at any other time in history.” No kidding — just ask Betty White. If you’re on Facebook — and chances are good that you are — you’ve probably seen the never-ending stream of petitions, invitations and calls to action urging you to support a cause or join a group. I use my Facebook account almost exclusively to promote a variety of animal causes, from rescues and rallies to veganism and votes. 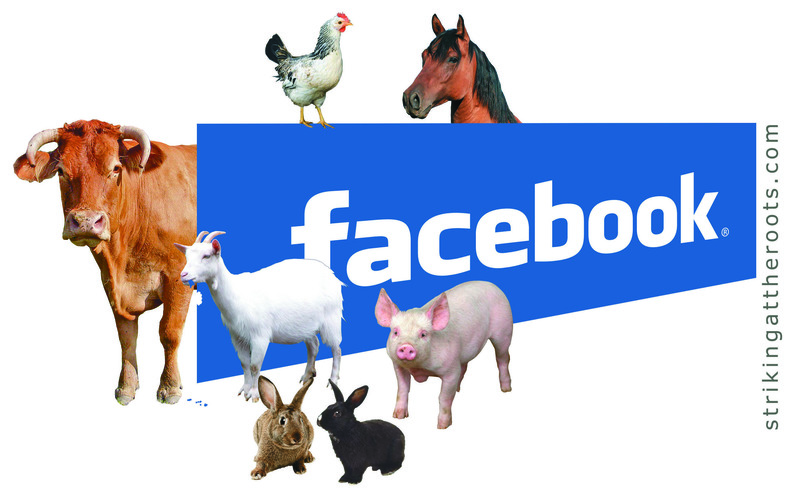 Granted, social media has dramatically affected animal activism. But how? Thanks to a massive base of more than 350 million registered users, coupled with the site’s free tools, Facebook is one of the Internet’s most powerful activist assets. It’s become the place to share video links, post articles, generate buzz and gather support for a cause. One of the best examples of virtual outreach turning into real-world change is the case of animal shelters. Humane societies are using Facebook to post animal photos and stories, helping get the word out in their communities. Recently The Washington Post reported on a particular shelter that has seen an increase in adoptions, donations and volunteers thanks to Facebook. That’s only one shelter, of course, so I checked with a few others to learn how they are using Facebook in their adoption and outreach efforts. The biggest benefit seems to be in letting potential adopters scroll through available animals. “Facebook allows us to post pictures and profiles of animals who might not otherwise be seen,” says Heather Mehi, manager of the Dearborn Animal Shelter in Michigan. Individual activists further boost shelter efforts by cross posting profiles of animals who need forever homes. Does this little online test mean we’re just interested in doing what our peers do, or is it another reflection of our busy lifestyle? I mean, if we were asked to join a group called, say, “Tell NASA We Don’t Want Pigs Sent to Pluto,” it seems likely many of us would join without reading the fine print. After all, animal activists care about pigs, and it only takes a second to join a group to help our porcine friends. Yet the take-away message of Colding-Jorgensen’s experiment is that people on Facebook may be more motivated by appearances than real-world activism, and animals need us to be their spokespeople ― very outspoken, vocal spokespeople ― not merely people along for the ride. Keep in mind that Facebook is not the only tactic we can use. There’s simply no way the Internet can take the place of such models as leafleting, tabling or using delicious vegan food in your outreach.